14 August 2009, at 9:40a.m. SCOTLAND, UK - Scottish Agricultural College (SAC) colleagues and many in the poultry industry have been greatly saddened by the death of Dr Tom Acamovic, Senior Researcher and Reader in the Avian Sciences Research Centre at Auchincruive, Ayr. Dr Acamovic's death followed a long illness, borne over many years, with outstanding fortitude and dignity. Tom had only recently attended the SAC Graduation ceremony in Bute Hall, University of Glasgow, where his scholarship and a contribution to research, acknowledged throughout the international poultry industry, had been recognised. Tom worked at SAC for over forty years and was one of the few members of staff to have served in all three campuses. 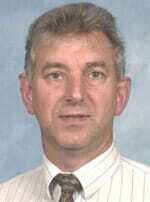 He started in Edinburgh, in 1968, as a Scientific Officer, gaining his PhD in 1987. He moved to Aberdeen as a research Scientist and Lecturer in 1989 where his work on the nutrition of farm animals established an international reputation. Then, in 1997, Tom settled in Ayr, as a senior research Scientist at SAC's Avian Science Centre. Recognised by his peers as one of Europe's leading poultry nutritionists he was credited with over 260 publications and was one of a small number of poultry nutritionists whose work seamlessly spanned the academic/commercial divide. Tom was President of the UK Branch of the World's Poultry Science Association and chaired a number of significant committees including the 17th European Symposium on Poultry Nutrition that is coming to Scotland later this month. He had a long track record as a caring supervisor of postgraduate students. SAC Principal and Chief Executive, Professor Bill McKelvey described Tom Acamovic as a kind considerate person, committed to his colleagues and science and always prepared to ask challenging questions. "Unlike many academics Tom was well known by his peers working in the commercial sector. Leaders in the sector have been quick to highlight Tom's enthusiasm, drive and expertise and to mourn the loss of a unique character". Tom is survived by his wife, Fiona, and children, Eilidh and Euan. We at ThePoultrySite were also deeply saddened to hear of Tom's passing and would like to offer his family and colleagues at SAC our sincere condolences.